Our services are outlined below. 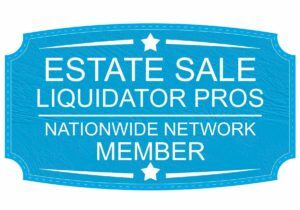 We conduct a professional, whole or partial estate sale or home clean-out for you. Whether someone has passed away, moving to a retirement or nursing home or is just looking to downsize, organizing and downsizing can be daunting and emotional task. Graceful Changes can get you on track quickly and efficiently and make the process much easier than trying to do it yourself. We have a loyal following for estate sales we conduct. This means sales are completed quickly with a high volume of completed sales. We offer a full range of services to help in the final stages of your move. Assistance with House Sales – We are not Real Estate Brokers. However, we have a large volume of clients coming through the sale. We offer this as a free service, if you are planning to sell the house. It is a good idea to enlist a Real Estate Broker prior to the sale and have plenty of flyers regarding the house on hand that we can hand out. If you do not have a Real Estate Broker, we have several Real Estate Brokers we can refer you to.